I am often asked what draws me to Timor Leste? Why does Pittwater Community have a group of unpaid, self- funded volunteers doing all they can to help the people of the small village of Soibada. For me it is a very personal project, a calling almost. It certainly wasn’t something I ever planned. Over the next few weeks members of our team will provide some insight into their part in Pittwater’s assistance to Soibada, Timor Leste. This week I will give you a bit of an update about a few of our projects. Timor Leste, and Australia’s relationship with our nearest neighbour, has been in the news a lot recently and unfortunately it is not always something we can be proud of. As Australians we must endeavour to remember the debt we have to the Timorese people. It is a debt that so many of us are oblivious to. In WW2 over 40,000 East Timorese died as a result of assisting Australia. We promised them friendship and protection ……. And we let them down. The “Battle for Timor” doesn’t feature on our televisions or in our newspapers. My generation were taught nothing about it at school. In 1941, when the 2nd world war spread rapidly into the Pacific a few hundred specially trained Australian commandos, “Sparrow Force”, were sent to Portuguese Timor to protect Darwin from Japanese invasion. This had the effect of compelling more Japanese forces to engage in combat on Timor. The Australians were befriended by the local people, who fed, housed and nursed them. They survived only because of the generosity of the East Timorese who sent their young sons, aged ten to sixteen years, to guide, to feed them - and to spy for them. The Australian soldiers were eventually withdrawn from Timor and they described the day they left Timor as their worst, because they knew what awaited their loyal Timorese friends. Over 40,000 Timorese were murdered by the Japanese in reprisal. No other nation has lost so many civilians as a result of helping Australian soldiers. In 1944, the RAAF dropped leaflets over Portuguese Timor promising liberation from Japanese forces and stating that Australia would never forget the people of Timor. Australia forgot those promises. We forgot them in 1975 when the Indonesians invaded, killing at least 200,000 East Timorese. Only since 1999 has the Australian Government begun to practically acknowledge the historical debt it owes the East Timorese people and honour those promises. Soibada was linked with Pittwater by an agreement between our respective local governments in 2010. This small village in the district of Manatuto is 135km from the capital, Dili. On a good day it takes about five and a half hours to get there by 4 wheel drive on unsurfaced extremely winding roads that are not much more than a series of interconnected potholes. The role of the community group, Pittwater Friends of Soibada is to assist the community with sustainable development, to provide support for local projects and to build skills that will contribute to the long term independence and sustainability of the village. So far 2014 has been the busiest and most productive year yet for Pittwater Friends of Soibada and it’s only April! We remain true to the terms of our friendship agreement and do not impose our judgement or ideas on the community of Soibada. Instead, we do our best to respond to their requests and attempt to assist them to achieve sustainable development and change in accordance with the needs identified by their own community. This in itself is often a difficult task for members of our team. When we visit Soibada and see how very little they have, in comparison to us here in Pittwater, it is natural for us to draw our own conclusions, based on our lifestyles, as to what should be done in the village. As volunteers and guests we must remain humble and listen carefully not just to the verbal messages of the people but also be aware of the many complex things that remain unspoken. As our relationship with the Soibada community and the Suco Chiefs (sub village leaders) has strengthened over the last couple of years we have gained their trust and understanding. This was a long process. 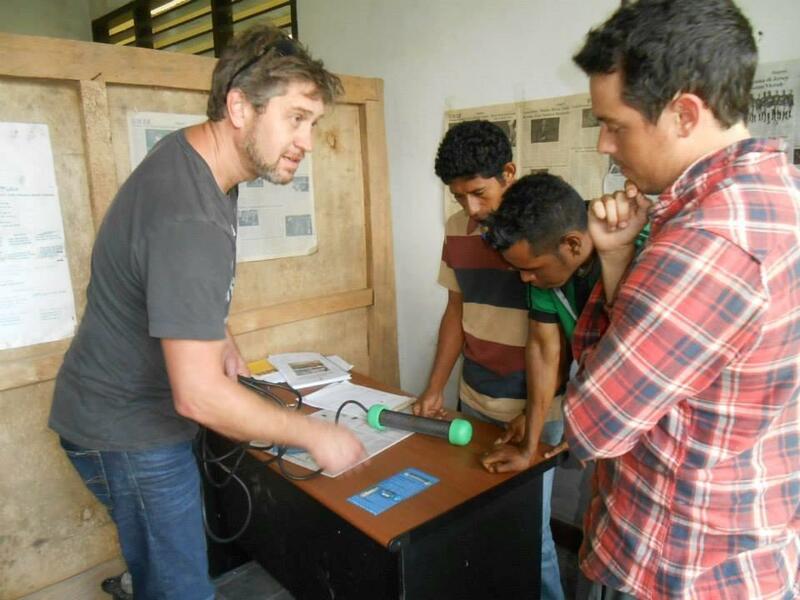 Numerous well intentioned volunteers and aid agencies have visited Timor Leste since Independence with promises and gifts. However, the number of people that actually fulfil those promises is small. This is not through lack of trying. The obstacles and difficulties faced in achieving outcomes in any aid project are numerous. Such things as the dismal conditions of (or absence of) roads, communication and language difficulties, lack of power, water and industry can be the ruination of many well planned projects. •ten bedrooms, each sleeping four people, with ensuite bathrooms. Raising the money for this project is a high priority for this year. The benefits of the building would be far reaching and ongoing – so much more than bricks and mortar. Furthermore – it is what the people of the village requested. 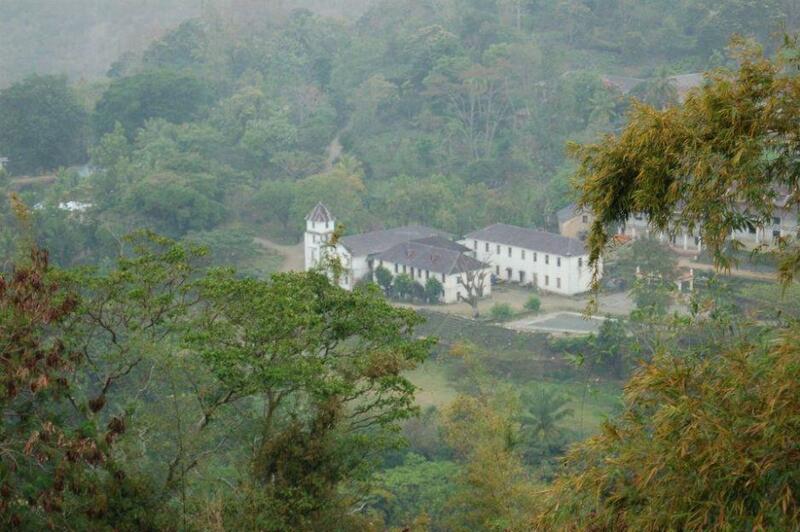 There are numerous attractions in Soibada and sites of historical and religious significance. The village is very remote, and breathtakingly beautiful, high in the mountains in central Timor. It was built by the Portuguese hundreds of years ago. The old buildings of the first college in Timor Leste, built by the Jesuits in 1898 retain a certain faded crumbling beauty. It has few resources and was devastated by past occupation by Indonesian and militia groups and subsequent turmoil following Independence. From space you can identify the layout of the old Portuguese town which was intended to become the capital of Portuguese Timor. The Church of the Sacred Heart of Jesus is the oldest Catholic Church in Timor Leste and it would not look out of place in the hills of Portugal. Although desperate for renovation, the church is striking and imparts a sense of quiet spirituality. There are two medical teams from Pittwater visiting Soibada in July this year. They will provide assistance with local medical programs. The Community have requested a new born vaccination program. It is something we are currently investigating through the Timor Leste Minister of Health. When I first met Chief John in Tasi Fatin several years ago we had a consultation with the village elders to ascertain what was needed in his Suco. He said in stilted English (certainly a darned sight better than my Tetun!) “We would like to grow Coffee and Custard apples, our school needs work and we need a community garden and training.” The requests were what I expected and very similar to those I received from the other chiefs however, I remember being quite astounded by desire for custard apples. Now I don’t know much (yet) about coffee production, but by pure coincidence, as I said to Chief John, I could help him with Custard Apples. One of the blokes in our group scoffed “What the ! @%%$^ would you know about Custard Apples Tamara?” – Well it just so happens I have an uncle in the industry. Talk about meant to be! So Uncle Bruce and his mate Roger joined our group of volunteers last year to meet Chief John, select a site for the orchard and have a good chat to President Taur Matan Ruak about the Custard Apple Industry. In July we head back with 24 young trees. Sanitation is an enormous problem in Soibada. There are around 700 children using (or not) one working toilet in Soibada school. For some time Brookvale Rotary Club has been working with Friends of Soibada on the Toilet Project. I won’t go into the messy details here (let’s just say I know a lot more about toilets now than I really would like to) but we have overcome numerous obstacles to finally see the project go ahead. Ken Snell from Rotary will be visiting Soibada in July and a local builder will construct the toilets in Soibada school. This will impact far more than just hygiene and health problems. New functioning toilets will enable so many girls who do not leave their homes each month to attend school regularly. •Pittwater Friends of Soibada will hold a Trivia Night on Saturday 31 May – details will be available next week. Raising money is imperative this year. We are at the stage where many projects are ready for implementation – we can’t do that without funds. This relationship is also about the growth of lasting friendship and sustainable development. It is about empowering the people of Soibada to resurrect their own village and their lives. However, we do need funds to do this. Our goal is not to make the change, but to facilitate the change so that it comes from within the Soibada community. We must enable the people to help themselves and restore the dignity that has been stolen from them during years of oppression. 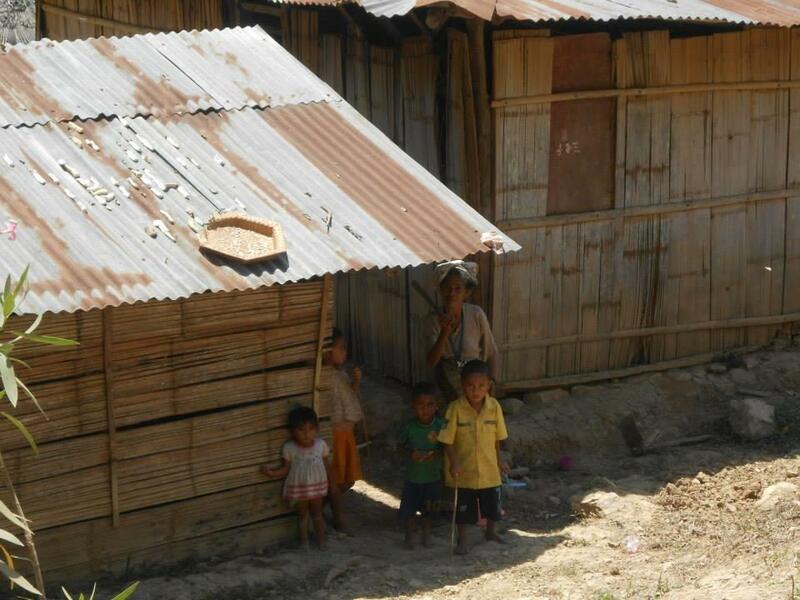 Please help us – change the future for the children of Soibada Timor Leste. Help us repay a little of the debt we owe the Timorese people and reach out to our nearest neighbours.